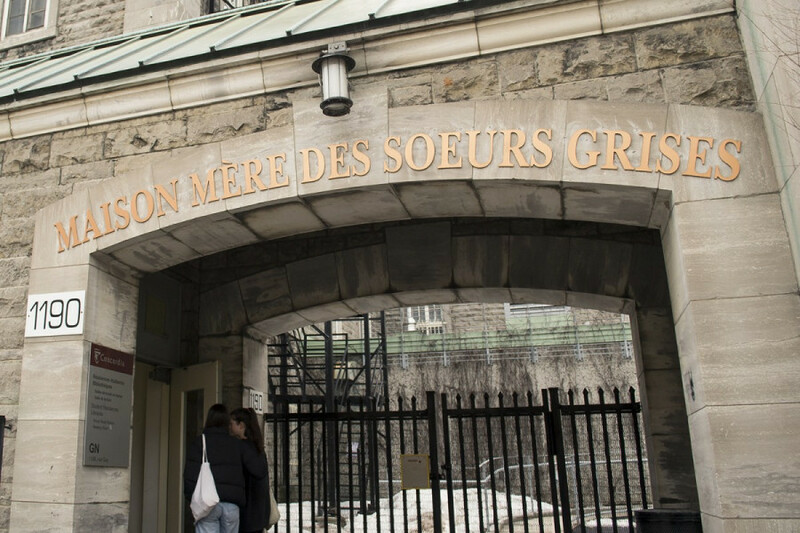 Concordia’s Task Force on Sexual Misconduct is in the midst of its public consultations, with the undergraduate consultation running yesterday at the Grey Nuns’ Residence. Some students say they’re dissatisfied, saying not enough notice was given to make sure undergraduates would be able to attend. “A lot of councillors we’re very upset, on behalf of the undergraduate students, about the very short notice that was given for this particular session,” said Arts and Science Councillor Charlotte Genest. Undergraduates make up 81 per cent of the school’s population, but less than 30 students attended the session intended for them. An email advising students to register for the consultation originally went out on March 14, two weeks prior to the meeting. However, there were no dates in the body of the message. Rather, it directed students to the Task Force’s webpage to learn more. The only other email reminder went out on Tuesday, just one day before the consultation. “No one was here,” she said, mentioning that the Concordia Student Union didn’t get any prior warning from the administration, and got the alert to attend the event the same time as the rest of the student population. Others who attended were dissatisfied with the format of the discussion. “[I hoped for] more transparency about what the consultation process is, maybe a bit more collaboration with students about what’s needed in a collaboration process,” said Ciel Doell, an undergraduate student who facilitated the consultation. “To allow students to have more agency and choice in how a collaboration could take place might be useful,” they said. CSU Academic and Advocacy Coordinator Asma Mushtaq, who also attended, shared similar complaints. “It was pretty hush,” she said. She also said it was unclear if students were allowed to bring new questions to the floor, arguing it was too structured as a discussion, as students were given firm questions and limited time to answer them. Following a CSU-run congress on sexual violence, which resulted in the recommendation that the school take on all the Our Turn Report policy recommendations, Mushtaq said the union’s scheduled to meet the school on that topic sometime in April. Our Turn, a national student movement focused on addressing sexual violence on campuses, recommends that sexual assault policies take a survivor-centered and gender sensitive approach. Earlier in the fall, the movement rated Concordia’s sexual violence policy with the lowest grade in the country, a D-. At the consultation, undergraduates gave their thoughts on how the school’s sexual assault policies and resources could be improved, and encouraged to give their ideas on how the campus could be made safer and more inclusive. Students also discussed how training could be implemented within the school to prevent sexual misconduct. To facilitate disclosure from the community and to create a safe environment for attendees, organizers asked that students’ feedback be kept confidential. Deputy Provost Lisa Ostiguy said that a summary of the responses given at the consultations should be made public sometime at the end of May. Similar questions will be given at consultations for graduate students, staff, and faculty members which will run until mid-April. The consultation for faculty ran this afternoon, and those for graduate students and staff will happen on April 4 and April 5, respectively.